UPRIGHT is a four year (2018-2021) research project funded by the European Union’s Horizon 2020 Research and Innovation programme under grant agreement No. 754919. UPRIGHT acronym stands for the full title of the research project: “Universal Preventive Resilience Intervention Globally implemented in schools to improve and promote mental Health for Teenagers”. The project aims to build a mental well-being culture in schools in five European regions, through the co-design, delivery and validation of a training programme on mental resilience. The UPRIGHT general objective is to promote mental well-being and prevent mental disorders by enhancing resilience capacities in youths, through a holistic approach addressing early adolescents, families and education professionals. Early adolescents, their families, teachers and all the school staff of the participating schools are involved in the UPRIGHT project. The UPRIGHT programme has been designed by psychologists, psychopedagogists, methodologist and ICT experts from around Europe. To co-create an innovative resilience programme addressing adolescents (12-14 years of age), their families and schools. To provide scientific evidence on specific resilience factors that contribute to promote positive mental well-being. The UPRIGHT training programme is based on four main components; coping, efficacy, social and emotional learning and mindfulness. For each component there is a theoretical part, followed by a practical part, which consists of a series of exercises and experiences to learn the skills and know how to put them into practice in your everyday life. Each skill is important for your well-being and the well-being in your family, and applicable in many areas of life. During life, you will encounter difficult situations; in order to cope with these situations in the best possible way, you need to develop adequate coping strategies. 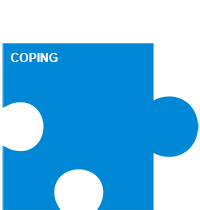 Coping refers to how people behave when confronting stress. Coping can be defined as “constantly changing the cognitive and behavioural efforts to manage specific external and/or internal demands that are appraised as taxing or exceeding the resources of the person” (Lazarus & Folkman, 1984). This means that coping is a conscious effort to reduce stress. Coping skills can be developed and learnt. Coping is an attempt to deal with, reduce or master a given conflict; there are many different ways to cope; they differ from person to person. Coping ability is an important part of health and well-being. In order to succeed, people need a sense of self-efficacy, to struggle together with resilience to meet the inevitable obstacles and inequities of life (Albert Bandura). 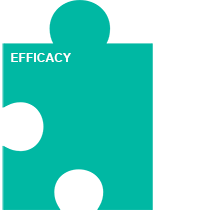 Efficacy is defined as the ability to produce a desired or intended result. It is the competence of behavioural performance of an individual associated with his/her perception of performance capabilities (Nugent, 2013). The UPRIGHT programme will work to improve trust in own abilities, understand that effort is something valuable and worth it, bounce back from setbacks, be strong as a group and be able to influence and take responsibility in a group. 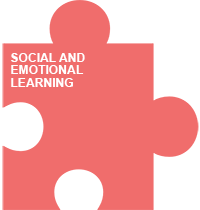 Social and emotional learning (SEL) is defined as the process through which children and adults acquire and effectively apply the knowledge, attitudes and skills necessary to understand and manage emotions, set and achieve positive goals, feel and show empathy for others, establish and maintain positive relationships and make responsible decisions (Collaborative for Academic, Social, and Emotional Learning – CASEL, n.d.). In other words, mindfulness means paying attention to what is going on now, both within us and around us, with kindness and curiosity. However, mindfulness is not just simple attention; it is connected to the heart. When you start paying attention in a mindful way, your relationship with the world changes, you see more, and you see more deeply. 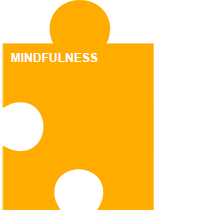 “Knowing what you are doing while you are doing it is the essence of the mindfulness practice” (Kabat-Zinn, 2004).